OPI What's With The Cattitude? 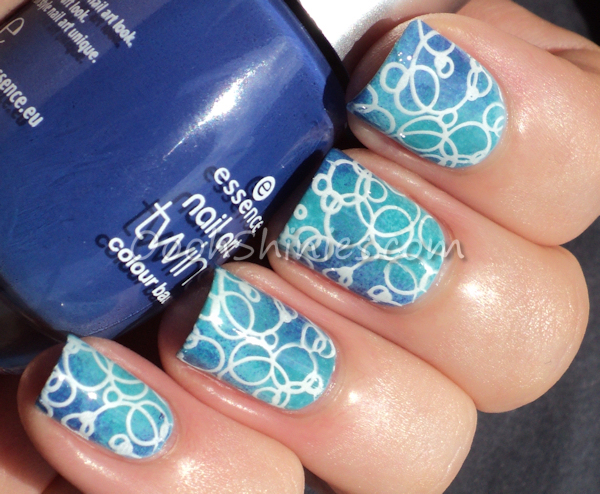 sponged with A England Galahad, China Glaze Aquadelic and Essence Chuck, stamped with Konad White and MASH plate 43. This was one of those manis that turned out how I had in mind, and then some! I loved it straight away, hope you'll like it too! :) It was easy as well, I started with the light blue base, then sponged on the darkest blue, followed by the other 2 colors, all overlapping a bit. Stamping, top coat, done!